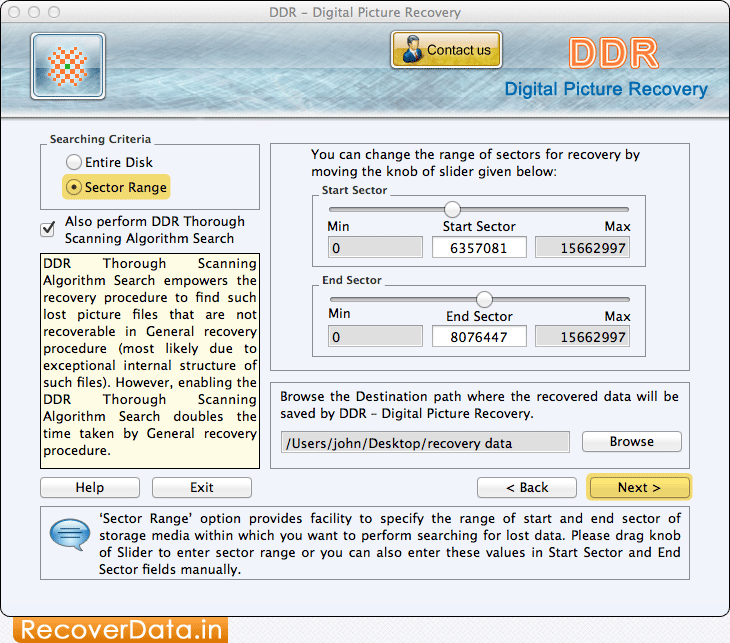 Select Sector Range option to specify the range of start and end sector for data recovery process. Now click on 'Next' button. 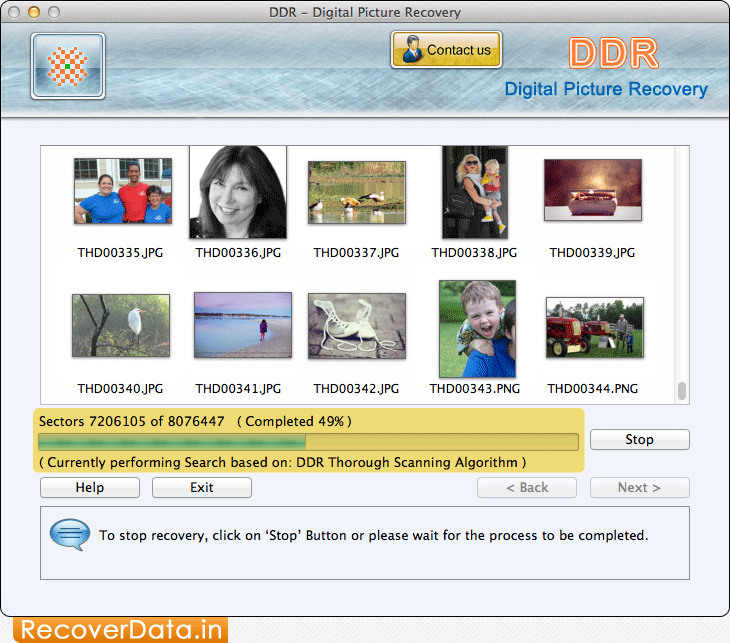 Performing search based on DDR Thorough Scanning Algorithm to scan and recover lost data. 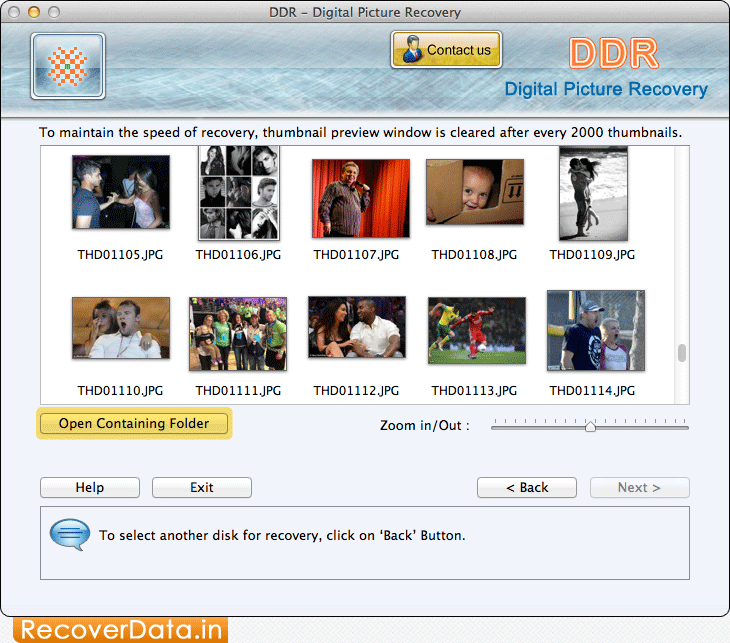 You can also view recovered data by clicking on Open Containing Folder.